My friend Andy is not only a fan of crumbles, but also of apple cakes. When he invited us down to spend a few days with him in a holiday cottage in Falmouth, I knew immediately what sort of cake to bake and take with us. I’ve made many an apple cake in my time but I wanted to make something a bit different. Casting my mind back, I remembered this lemon and almond cake, which stands out as one of the best cakes I’ve made. I used this recipe as my inspiration and came up with this splendiferous almond apple cider cake. Autumn is the very best time to make such a cake. Apples are literally falling from the trees and cider is in full production. Falmouth was wonderful and we were very lucky with the weather. We wondered the cobbled streets, walked around the harbour and beaches and clambered up Jacob’s Ladder a number of times. On our first full day, we enjoyed a morning coffee and stroll around Hotel Meudon’s lovely gardens and beach. This was followed by lunch at The Potager, a fabulous vegetarian cafe a few miles out of Falmouth. We finished off the afternoon by visiting Glendurgan Gardens on the Helford river, where we managed to find our way both in and out of the maze, once again. On our second day, we took a trip up the River Fal to Trelissick Gardens, another splendid National Trust garden in the area. I’d never taken a boat up the Fal before and I’m so glad I did last week. It’s just beautiful. We ate rather a lot too. It’s got to be done when you’re out and about. We were only in Falmouth three nights, but it felt like a real holiday. My friend Angela, who was also hosting us, is a fellow vegetarian. I knew Falmouth would not let us down when it came to eating out and indeed it had plenty to offer us. We found vegetarian cafes, vegan restaurants and good vegetarian options in a number of other eateries. Put it like this, we did not starve. Oh! And there was a very nice almond apple cider cake too. It was much appreciated by all. Even Angela, who doesn’t eat cakes, had a slice and finished it. She declared it better than any cake found in a cafe. Given that she doesn’t eat cake, I’m not quite sure how she knows this, but I’m happy to take the compliment. A splendid apple cake made with ground almonds and flavoured with cider. The top, covered with flaked almonds and demerara sugar has a satisfying crunch to it. Sift in the flour, baking powder and bicarb. Add the apples and cider followed by the ground almonds and stir until just combined. Scrape into a 23 cm round silicone cake mould or lined tin. Scatter the flaked almonds over the top, followed by the demerara sugar. Bake at 180C for about 40 minutes or until the cake is well risen, golden on the top and an inserted cake skewer comes out mostly clean. I’m sending my almond apple cider cake off to Casa Costello for Bake of the Week. Pretty much everything except the sugar and the eggs in this cake is organic and the eggs are properly free range. It’s #OrganicSeptember after all. If you make this almond apple cider cake, I’d love to hear about it in the comments below or via social media. A photo is always good too. For more delicious and nutritious recipes, follow me on Twitter, Facebook, Instagram or Pinterest. If you like my recipe for Almond Apple Cider Cake, why not pin it for later? What a beautiful cake, I love that timings are approximate – so true. Falmouth looking particularly fabulous too. Thanks Janice. I think my oven is possibly hotter than it should be and all of them vary too. Also preparation is dependent on so many things. Always seems to take me heaps longer than recipes state. Love the bicarbonate of cider!!!! 😀 Please don’t change it! Nice to read about the lovely days you spent with your friends in Cornwall ! Yes, cider all the way Henk 😉 Thanks for pointing it out. It really is a good cake. The trouble is, I mostly, though not always, think my latest bake is the best ever! 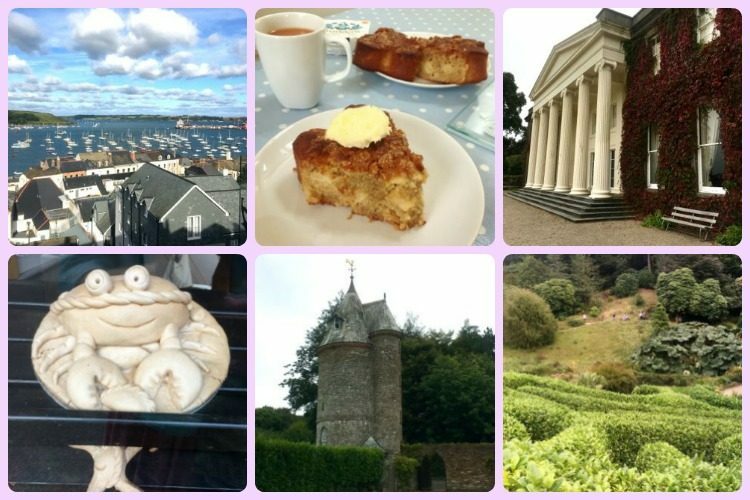 Falmouth looks wonderful, so does this apple cider cake! I am perhaps a little biased, but Cornwall is a great place to come on holiday. There’s much to do for kids and adults and the food has hugely improved over recent years. I haven’t been down to Falmouth for too long. Must make an effort now the season is over. A lovely looking cake too! Thanks very much Beth. There’s actually a surprising amount to see in Cornwall. I haven’t been up Bude way in far too long either. 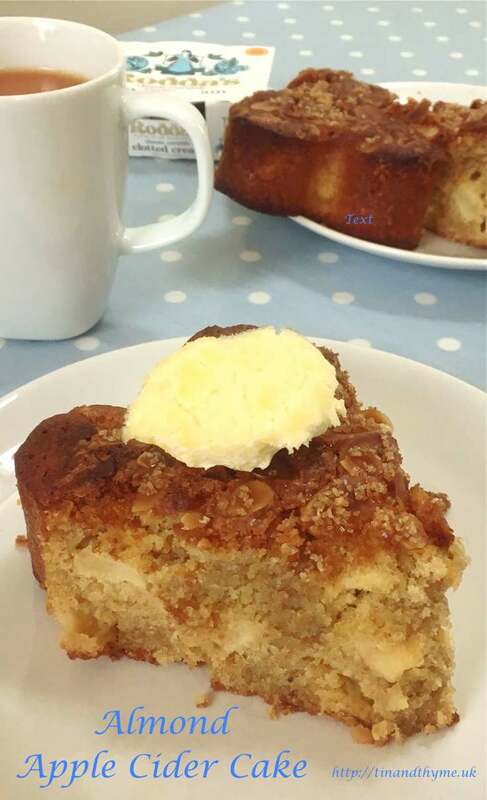 mmm apple cakes are delicious and esp in autumn when apples are at their best – I would invite you over with this apple cake – sounds like the perfect gift for your hostess. Falmouth sounds like a veggie paradise! And your cake – it sounds mighty delicious and the perfect autumn cake. I saw it on Facebook and immediately wanted to know more! Thanks Kellie. Vegetarian food is still quite hit and miss, but it’s definitely been getting a lot better down here over the last few years. Falmouth is a student town, so I’m guessing that’s why it’s so good. Cider, in a cake… yes please! I am envious of your trip to Falmouth, I have been longing to go for a while! You’d like it Sus. Plenty happening, both nightlife and on the vegan / veggie food front. that sounds a wonderful cake! Love the crunch on the top. Thanks Helen. I never meant to go away, I’m just not good at remembering everything! Apple cakes are so perfectly Autumnal Choclette and I should imagine the addition of the cider not only adds to the depth of flavour but also gives perfect moistness. Delicious! If I wasn’t going out this morning, I’d be baking this cake! OMG, it looks wonderful!!! My godson went to the School of Mines nearby, but I still have to visit the area! Looks lovely! Oh did he Christina? I hope he fell in love with Cornwall. It really is a beautiful place. What path did he take after leaving?